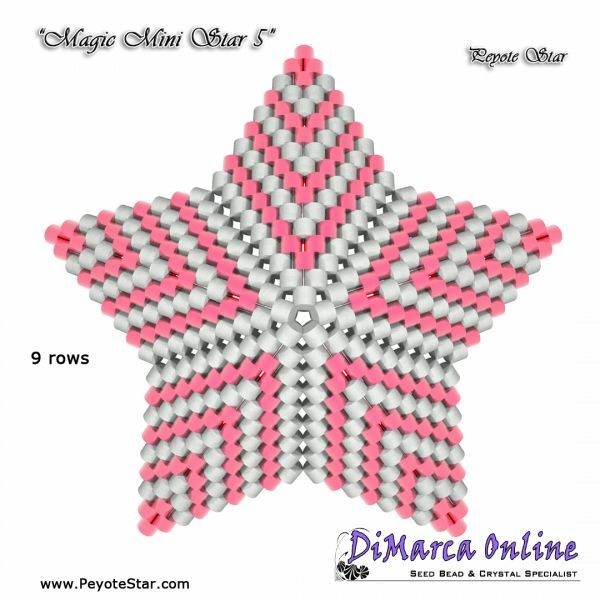 Your choice of the Magic Mini Stars: buy 2, 3, 4, 5, 6, 7, 8, 9 or all 10 Magic Mini Stars. The more you buy, the cheaper each star is. 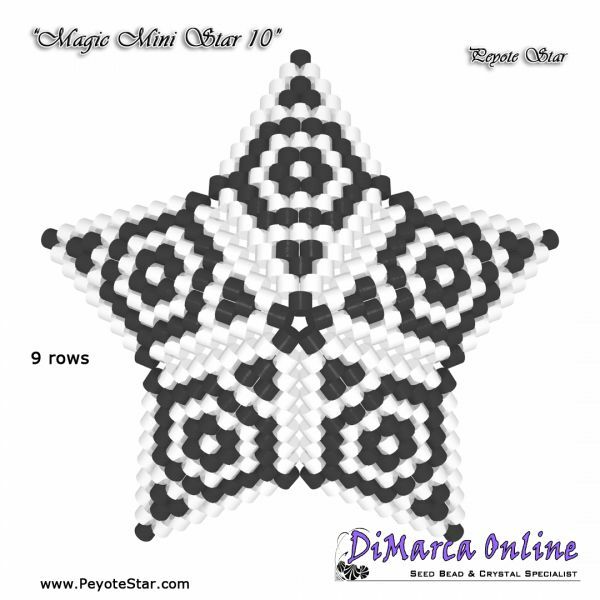 These beading patterns provide a colour diagram and word chart to create the MAGIC MINI Peyote Stars. These stars have 9 rows. 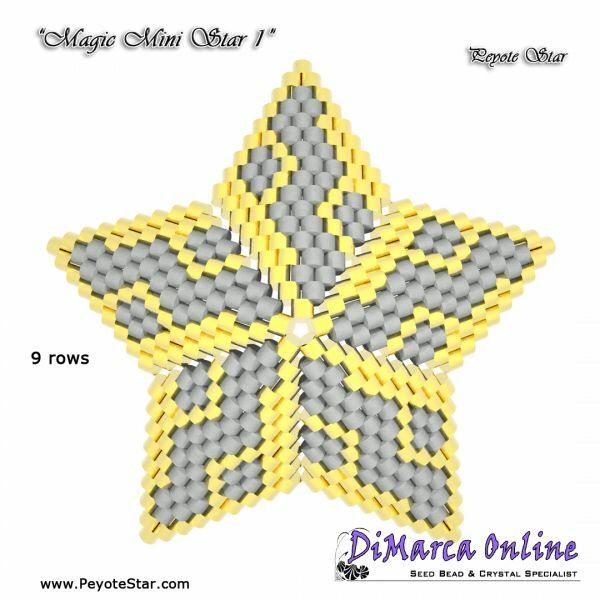 Please let us know which stars you would like to receive in the comments section when you check-out or by e-mail (info@dimarca-online.com). 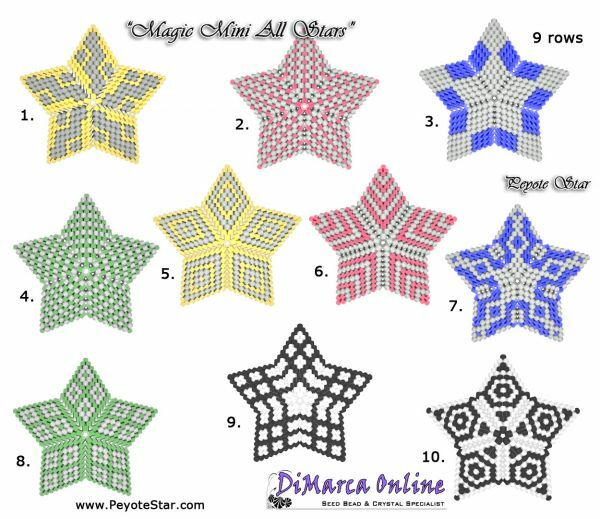 You will receive the chosen patterns as PDF files by e-mail - usually within 24 hours - to the e-mail address listed in your order confirmation.